Keysight has announced successful validation of an Over-the-Air (OTA) test method for evaluating the radio frequency (RF) performance of 5G base stations. The technology company achieved this feat in collaboration with the China Academy of Information and Communications Technology (CAICT) and Tsinghua University. The collaboration between Keysight, CAICT and Tsinghua University was established to accelerate the development and deployment of 5G networks in support of the Phase I 5G trials led by China’s IMT-2020 Promotion Group. The test combined Keysight’s 5G signal generation and analysis solutions with a compact antenna test range (CATR) chamber to create the appropriate OTA test environment for 5G base station performance evaluations. Keysight has seamlessly integrated measurement science with hardware and software tools that support the latest 3GPP release 15 (Rel-15) standard to provide the entire mobile wireless ecosystem with end-to-end OTA test capability. Its integrated OTA test solutions for R&D characterization and RF test of 5G base stations enable users to test a wide range of equipment and its sub-systems in a repeatable way. Keysight’s wealth of insight and technical expertise in OTA test combined with its 5G hardware and software technology, according to Fei Xu, Deputy Chief Engineer at CAICT, a scientific research institute directly under the Ministry of Industry and Information Technology (MIIT) of China, enabled the institute to successfully integrate with Tsinghua’s CATR chamber. The result was an OTA RF system that network vendors are already adopting to complete 5G NR gNB RF test in Phase II Step 3 trials. The Chinese IMT-2020 (5G) Promotion Group is the principal platform for leading operators, vendors, universities, and research institutes in the field of mobile communications to promote 5G research in China. 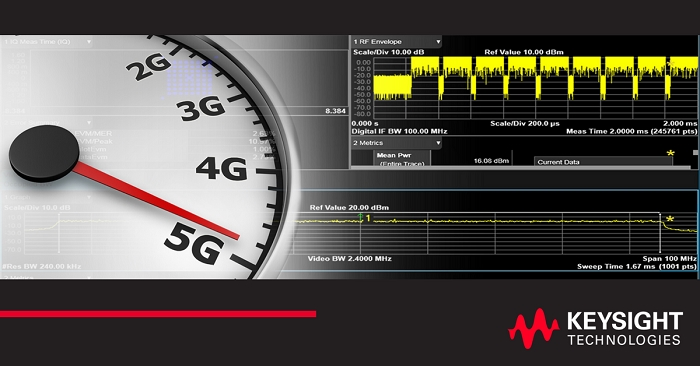 Click here to learn more about Keysight 5G.